KANSAS CITY, Kan. (April 11, 2019) – Legends Outlets is thrilled to welcome Torrid to its retailer lineup. The American women’s retail chain officially opens Saturday, April 13, at 1829 Village West Parkway, Suite T-118 (across from J.Crew Factory). The first 50 shoppers to visit the new store starting at 10 a.m. will receive a Torrid gift card valued up to $100. The 4,235-square-foot location offers plus-size fashion and accessories for women and teenage girls, sizes 10-30, in a variety of styles including comfort, dress, casual and activewear. Torrid’s wide assortment of today’s top trends comprises tops, jeans, jackets, swimwear, wide-width shoes and more. For more information about Torrid, please visit: www.torrid.com. 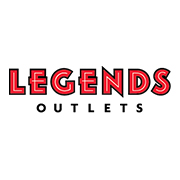 Torrid joins Legends Outlets’ lineup of more than 100 retail, restaurant and entertainment destinations, including the recently opened Michael Kors outlet, Rack Room Shoes, The Dapper Doughnut and True Religion. Established in 2001 and based in City of Industry, California, Torrid LLC is the leading and fastest growing retailer of apparel, intimates and accessories for curvy women sizes 10 to 30 in North America. Purchased by Sycamore Partners in 2013, Torrid has annual sales of $1 billion and operates 588 stores. The company pioneered the notion of 'first at fit' in the plus size fashion retail market to create clothes that truly fit the modern and curvy woman. To learn more about Torrid, please visit: www.torrid.com.